"It's also a coincidence that your name is Cas..." >_> she stares the girl down. Cia shakes her head. "Let's eat already." "Cassandra. So it can't be." She says waving her hand and grumbling something. Cas shrugs, then turns to face the others. "Wellp. I think it's time to head into town. C'mon guys, let's grab something to eat." she says, starting to walk. "If we're lucky, it won't be so busy around this time of day... maybe." "Hopefully." Cia says. "I don't really like crowds..."
Maka comes waddling back to the group, his new sword attacked to his backside magically with no restraints because everybody knows that just like the vidja games, you can just do that. "Heh, looks good on you Maka. Now you've gone from mage to badass." she jokes. The little Archeops looks a bit embarrassed. Cas can't help but grin when Serena says this. "That's the spirit," she says. "NO! I don't make crossbows! I hate them with a passion." Sol says rather peeved. "Let's hurry up and get out of here. She scares me. ._." "Really? It's the perfect assassins weapon...what about a bow?" "Guys, uh... I'm ready to go whenever you are. I could have sworn we were ready to head off at least a few times here, but those posts must have been..."
"I'm coming!" Maka chirps, following after the Absol Lady." Cia walks with Maka, occasionally looking to his new weapon. "So, a staff-sword? How does that work?" 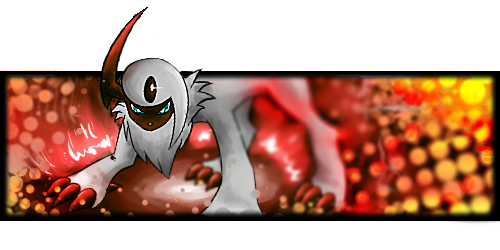 the Absol asks Maka, as they all walk. Something...new is welling up from within the young Sage, a different type of power he doesn't quite understand yet. "I'm kind of curious to try it out soon myself miss Cas. Get a feel for its weight and abilities. But, she told me that it can also shoot a beam out of the sword with enough magic, although it slightly damages the weapon in the process..."
"Interesting. Perhaps it can be used as a last resort?" Cia suggests. "Yeah, agreed. Probably shouldn't use that trick unless you need to," Cas agrees, with a nod. "I'm still uneasy that it was made out of a soul." "But...I do it with everybody..."
"Except me." Abella can be heard from behind the group. "Not true, I've called you miss Abella before." Maka just whistles slowly to himself, an enchanting bird call. "In ANY case...Yes, I call most people by 'miss' or 'mister'." Abella then looks up to Selena.